Welcome Home! This beautiful 5 bedroom 4 bathroom home includes an open floor plan with tastefully updated kitchen that boasts stainless steel appliances, granite counter tops and tile floor. Lots of natural light throughout, gleaming wood floors, new paint and carpet. Upstairs features a master bedroom with bathroom along w/ 2 bedrooms and bathroom. Main level has 1 bedroom, bathroom, and large family room. Enjoy entertaining in the big fenced yard highlighted by a large patio with pergola and playground. A stand out 3 car attached garage and RV parking. Fantastic basement with luxurious heated living room floor, 1 bedroom, 1 full bathroom w/ jetted tub, and bonus room. 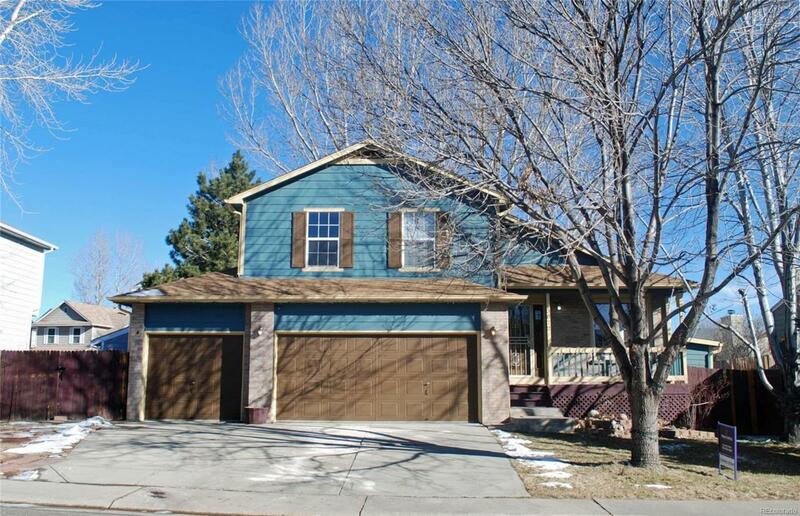 Near parks, trails, Adams 12 5 Star schools, off of Colorado Blvd, minutes from I-25 & E-470, shopping centers, amenities and more. Make this house your HOME!